at www.hasulith.com, the internet portal of Sussmann & Steinhauser GmbH. 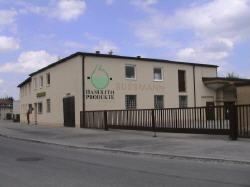 For many years HASULITH products have stood for quality "made in germany". In addition to an extensive variety of adhesives for metal and plastics, glass and foiled stones we produce a wide range of lacquers. Our product range also includes cold enamel, dyestuff-concentrates and nickel-test. articles finished with HASULITH products are to be found all over the world. Especially for our international customers and visitors we want to present our main products in english so you can get all the informations you need at first. If you have any questions regarding our products don`t hesitate and feel free to contact us by mail or by phone. You can get the contact informations here. We beg your pardon that we can not send you a cup of coffee and a sweet little cake through the net ... but we are sure, that you will enjoy your time on our pages as well, that you will find the informations you need very fast and that you will visit us again. Please give us some time to complete our english sites. There are still some products which are not yet online.